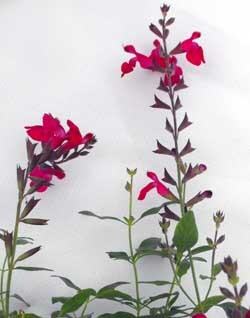 Salvia collector Richard Dufresne discovered this growing in his sage garden. It turned out to be one of his best releases, dishing out an abundance of raspberry-purple colour spring, summer and fall. Ht. 30-45 cm (12-18 in).